The Academy managed to get a silver in this highly regarded award, for its use of technology in education, most notably the recently added video-based online tutoring. As a student, you will be exposed to high quality digital educational material which will be run by use of the best technology, ensuring a smooth information flow. Best Forex Education provider by the Middle East Forex Managed Funds and Investment awards. This award has been won from 2011 through to 2014. It sought to appreciate the academies for providing the best forex training in Dubai. For the past 20 years, the Online Trading Academy has been providing the best education to its students. This has been made possible by an exciting team of professionals, ranging from the management to instructors, whose bulging experience has made it possible to have over 200,000 investors following their education. 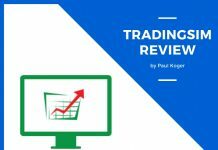 The overall Online Trading Academy review has been positive, with many community based and corporate awards including the ‘Best Place to Work’ award among many others. They seem to be well respected within their space. The academy is very passionate about its mission, which they don’t just take as a statement, but a vow to you to provide the best level of training and ensure you reach your potential. Their education is objective, so you learn what you need to, like learning how to minimize your expenditure in trade, to increase your profitability. To you, this will be a different experience from the boring school curriculum. The academy has facilities all over the world, in addition to which they will offer you home-based study tools in the case of unavailability of a facility close by. Most of the courses are taken in online virtual situations, where you will be able to join the fast-growing network of online trade learners. The courses offered have an option for a retake, in the case of associates. All this is done at a reasonable price, giving you a good level of cost-effectiveness. As a learner, there are a number of programs you will be subjected to in the course of your study, and they include the core strategy, XLT, Mastermind community, Specialty courses and Wealth management. The academy has spent the past two decades coming up with strategies which ensure that as a learner you become as successful as desired. This strategy has been tested over time and has emerged among the best training strategies. Pre-essentials – This acts as an introductory module for the learner. You are able to get a grip on the overall concept, as well as a look at each module. 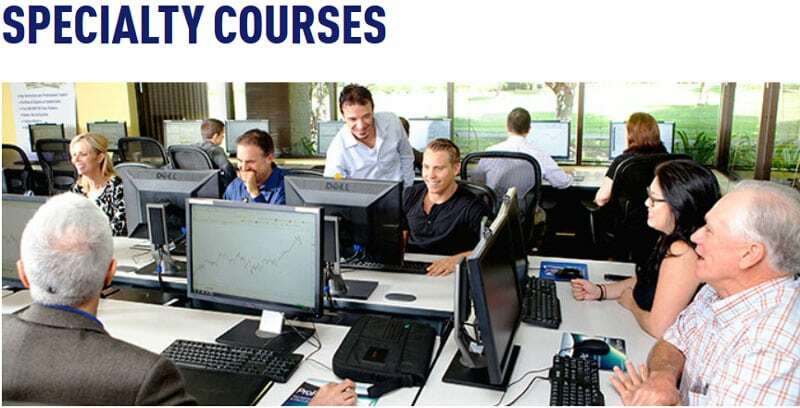 The course – Core strategy course is basically a hands-on experience, where you are able to use real money to trade. You are also able to make use of real money and apply it in real markets. Practice labs – The academy has incorporated modern technology, to ensure that you are able to get a feeling of an online market, by use of virtualization technology. In these labs, you are able to set milestones for yourself which will challenge you to improve your industry. XLT – This stands for Extended Learning Track. It gives you an avenue to take part in actual online trades with our experienced tutors. You are also able to ask questions, which are tackled by the trained instructors. This section is cut up into three weekly lessons. The core strategy has a number of advantages. It is purposeful, simple to go through, easily accessible for the students, and lastly because it is quickly adaptable. In this feature, you are able to interact freely with professional instructors, who are not only well trained but a lot friendlier. You meet them in an online environment, where real trades take place, giving you a hands-on experience of a market. In the XLT, you get a mixed learning experience, where a practical application on a real virtual market is alternated with classwork. This helps you to keep the lessons learned intact by immediately applying them. The main goal of the XLT is to ensure that as a learner you are able to apply what you have learned in class in a normal trade scenario. Each week, the academy offers a series of 2-hour sessions where you are able to take part in real trading. This not only increases your knowledge of market ways but also improves the confidence of facing clients and competitors. 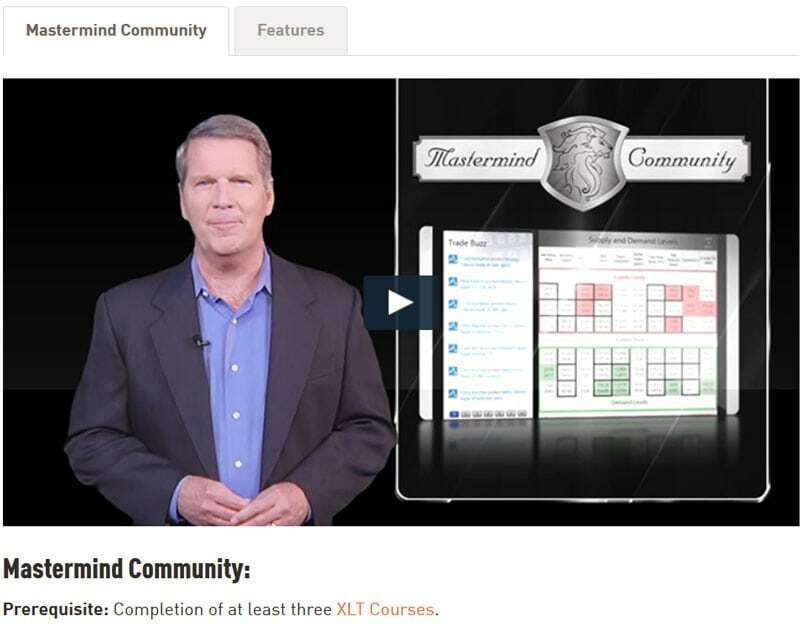 For you to join the mastermind community, it is required that you complete not less than 3 XLT courses. 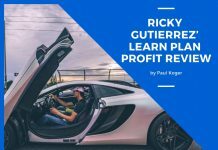 This ensures that you are in the right shape for the mastermind community, which among traders is considered the epitome of elite level. As an aspiring trader, you should strive to achieve this feat, due to the number of goodies you are guaranteed once you reach the level. An all asset mastery entrance, which ensures that you don’t have to go through questions meant for new entrants. There is an auto-renewal for any XLT underlying your past undertakings. You also stand to be kept updated with daily information of 6 zones in every market, which are 35 markets in number. You are also able to get access to a service where you can get immediate information and tips about trading opportunities. This information enables you to make decisions based on factors such as price fluctuations, which can affect the rewards. As a mastermind member, you will be able to request for an online session with professional tutors. You will get a chance to join a team, where you interact with other mastermind community members, to share ideas and improve your trading abilities. The final advantage is access to high-level tutors, through one on one basis or online chat. This access is always given preference to the mastermind community members. Like the name suggests, in this level, you are able to fine-tune your abilities. You will join this level after you have finished with the classwork and real application of the training, either simulated or real life. You get the chance for professional guidance from the team, where the academy has taken into consideration the various feedback from former students. Cryptocurrencies – In this specialty course, you will be taught all you need to know about the crypto space. After this short course, you will be able to manage better your digital financial infrastructure. Personal Trading Plan (PTP) – coming up with favorable Trading plans are the toughest endeavors for any trader. 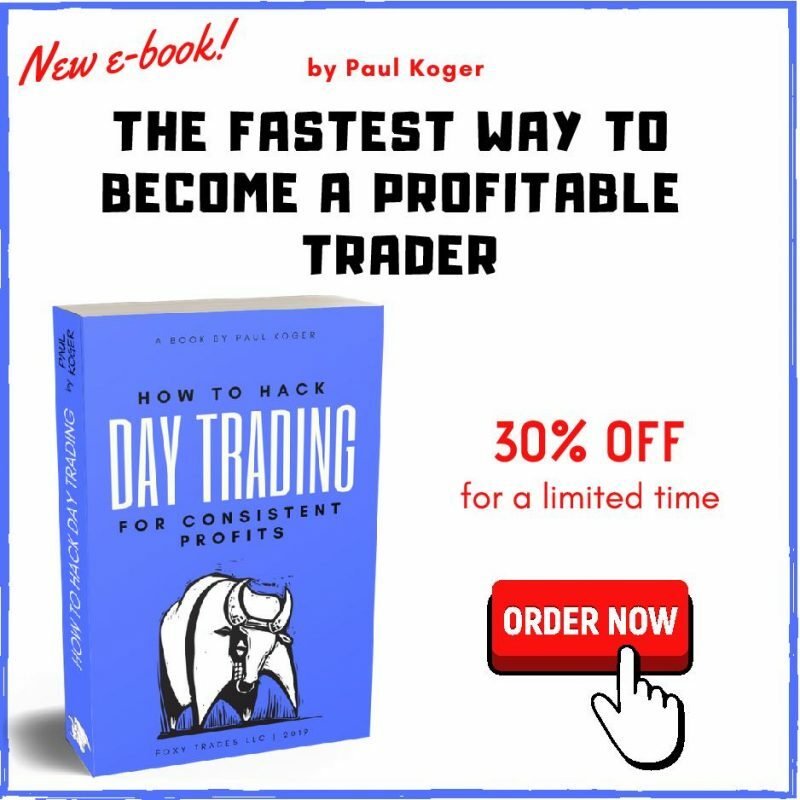 This specialty course will help you master this feat and make you one of the best trade planner. Platform immersion – This is a 3-day course, where you will go through a hands-on tutoring on how to effectively make use of your platform or digital workstation. Mastering the mental game – This is a 2-day course which will help strengthen your personality. The tools used are easy and effective. They help you get rid of those nagging and obsessive personality traits which might hinder your career development. 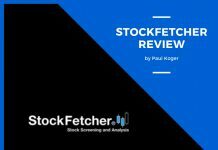 Technical analysis strategies – A 2 days course, which helps you learn the market more, and manage to study behaviors of a target trader niche. Every trader’s objective is to maximize their profits and reduce the risks involved when doing so. With a whole world of brokers at your disposal, you need to have a deep understanding of wealth management. It would be risky to leave all financial tasks to the broker. You also need to be able to run your portfolio easily. Under wealth management, you will have access to various sub-courses, such as proactive investor, XLT – Proactive investing, core tax strategies, OTA tax pros, and OTA real Estate. Free half day class offer – As a requirement, you will be given a free one-day course for any new entrant into the wealth management courses. This course acts as an introduction where you are taught various strategies to apply in your trading. Proactive investor – After the free day class, you will be taught how to think and act like a real investor. In this 5-day course, you will gather confidence which is necessary for wealth management, and also learn personal financial discipline. XLT – Proactive investing – This is an improvement to what is learned in the proactive investor course. Here you will learn efficient high-end finance management tools and ways, and also portfolio management and control. Mastermind community – In this online course, you learn how to fit comfortably into markets and how to make the best of them in the form of profits. The Online Trading Academy offers it’s courses at market-beating low prices, without compromising on the quality of education. This makes it one of the most cost-effective academies for you. The academy has the best team to work with, with learners having access to information from highly trained professionals. They aim to educate in the friendliest manner, which makes the learners feel comfortable. Their education centers are run by their own instructors, though from time to time they outsource guest speakers and trainers. For your convenience, the academy has worldwide physical classrooms where you just walk into and go through the courses on offer before enrolling. Their state of the art classrooms is located in the USA, Canada, Europe, Middle East and Asia. In all of these classrooms, there are highly trained tutors and trading experts, who will ensure that you get the best education. In the course of time, the online training academy review has been very positive. You can log into their website, and navigate to the ‘Student Ratings and reviews’ section. There you’ll find the review of former students, sharing their experiences. The academy has a healthy average of a 4.76 star rating, with 75.47% of the students rating it a 5-star. 21.71% rated the academy 4 stars, 2.21% rating it a 3 star, 0.35% rating a 2 star and only a paltry 0.26% rating a 1 star. You can also go through the comments under the ratings, which are quite many, and basically positive. This will encourage you as a student to enroll since there is evidence of high-quality education and mentorship. A good educational center is known for the awards it has garnered throughout its lifespan. An award confirms that the institution is a leader in its category. This is a reason why you as a student should take up the challenge of enrolling. Below is a list of some of the recent accolades the academy has gathered. This award has been won on 5 occasions, 2011, 2014, 205, 2016 and 2017. This means that you will get tutored by a highly motivated team of tutors. They are easy to communicate to, ask questions and generally interact with them. These categories include best educational content for ‘lessons from the Pros’, best webinars educator and best speaker and educator. These awards have been won annually from 2011 to 2018. Another notable award is the best podcast in 2018 and 2014 for a radio show hosted weekly by Martin Rothfeld. When it comes to entrepreneurial and financial training, the Online Trading Academy is definitely a good source of education. Visit their offices and get the chance of not only learning the trade but also interacting with the best team of professionals. You will also get a chance to join a growing network of intelligent traders, whose mutual experience can help to advance you in your trading career.